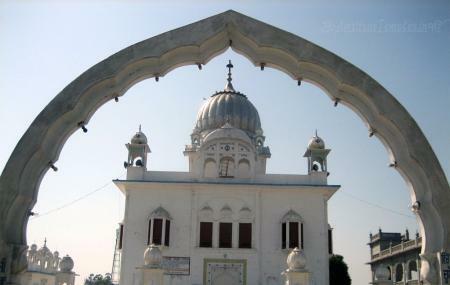 The Santokhsar Sahib is a historical shrine that was started by Guru Amar Das Ji and has one of the five historical sarovers’ constructed by Guru Arjan Dev. This Gurudwara is home to the holy book of Sikh, Guru Granth Sahib which is kept on a canopied seat made of white marble. It also has a residential block for pilgrims. The Santokhsar Sahib is the most ideal place to start your day by experiencing complete peace and serenity. Pets are not allowed in the premises of the Gurudwara. The Gurudwara is open on public holidays as well. Dress modestly while visiting the Gurudwara. Make sure you have the lungar when u visit the shrine. The best time to visit the Gurudwara is at sunrise. The Golden temple is quite close to the Gurudwara. How popular is Santokhsar Sahib? People normally club together Jallianwala Bagh and Hall Bazaar while planning their visit to Santokhsar Sahib.